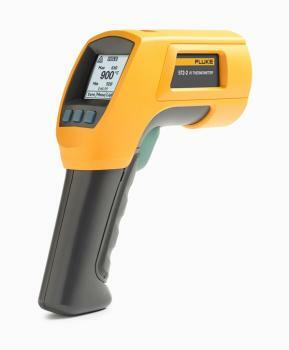 With a 60:1 distance-to-spot ratio, the 572-2 is perfect for measuring temperatures in unreachable places. Whether its an air duct on the ceiling of a warehouse or a transformer on the top of a power pole, the dual lasers will clearly show you the diameter of the area you are measuring. Save time in recording with the on-board memory of the 572-2. 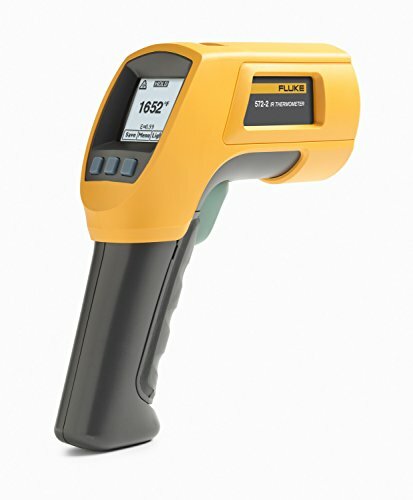 It can record up to 99 infrared temperature readings for later download to computer via USB cable. Because adjusting emissivity is critical to accurate temperature readings, the 572-2 offers three ways to help. 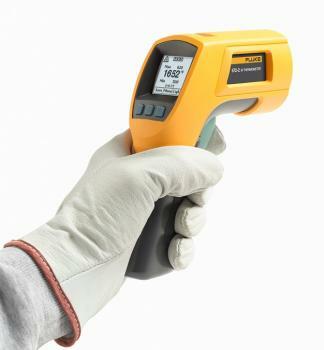 Select an emissivity manually from 0.10 to 1.00, use the K-type probe to match the IR reading with the contact reading, or use the built-in common materials table to best match the surface of measurement.